McCarthy played at Ball State, where he was named all-MIVA twice. In high school he led his senior team to a state championship after the team lost just two sets all year. He was a 2004 Volleyball Magazine Fab 50 player and the 2004 Chicago Tribune Player of the Year. 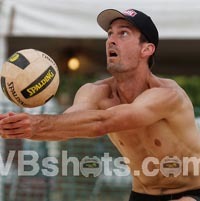 In 2005 he was a middle blocker on the USA Men's Junior National Team. McCarthy, who has one sister, majored in marketing.